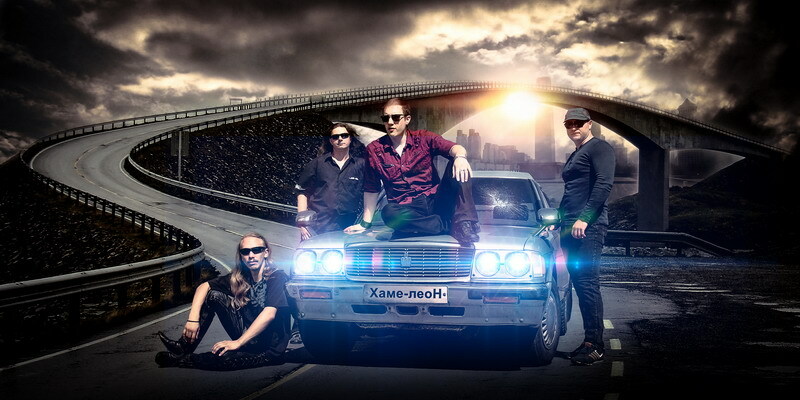 The biography of the band begins in summer of 2005 in Kursk when two musicians � Sergey Sedykh (guitar) and Nikita (NiKk) Gaydukov quit a cover band in favor of their own project to perform their own material. It doesn�t take much time to find soul mates and CHAME-LEON presents its debut concert program as early as in the end of the same year. The first studio experience results in a self-released demo "Gambling with Fate", 2008. Next summer the band commences the recording of a debut full-length album. During the recording process several musicians quit CHAME-LEON. Dmitry Obert (guitar) joins the band which changes its spelling to CHAME-LEON. In 2011, while the work at a full-length album is still in progress, the musicians record �Superstar� � a song featured in Andrey Bukharin�s �Native Speech� program on �Our Radio�. During the next two years of work at LP the band publishes several mini-releases on the Internet: "Voodoo" single, "Pharaoh" maxi-single and "They need no Heaven..." EP. For several reasons the album is recorded only in the middle of 2013. "Taste this soul!" is released by IROND/ MOLOT and gets high appraisal from both listeners and musical critics. In spring of 2014, on the jubilee of Yu.A. Gagarin CHAME-LEON present a special single "The new Dawn", aired by many radio stations and heard by metal fans in Finland, Greece, Italy, Czech Republic, Portugal and the USA. One year later the band is invited to take part in the official tribute to the legendary AUGUST band (St. Petersburg) with their version of a song titled �Metal�. Meanwhile the work at the second full-length album is in progress. In spring of 2016 the song "Mrs. God" recorded for the RUSSIAN � LANGUAGE TRIBUTE TO HELLOWEEN is published on the Internet. At the same time the new album titled "A Night of Wild Machines in the City of Darkness" appears on Google play and iTunes.